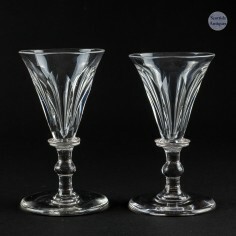 Two very fine Victorian dram glasses, both with attractive slice cut deceptive bowls. 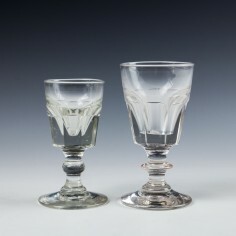 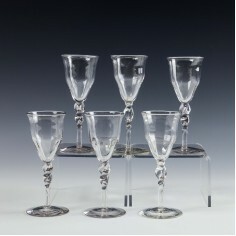 You will find these on our online antique store scottishantiques.com with a large choice of interesting antique Victorian drinking glasses. 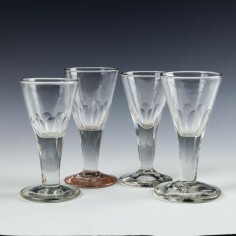 From the second gin craze, We are now enjoying the third gin craze. 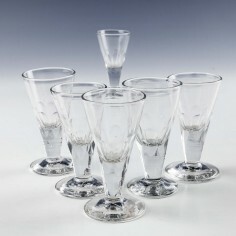 Made for the tavern trade, these will withstand the most ardent of gin frenzies. 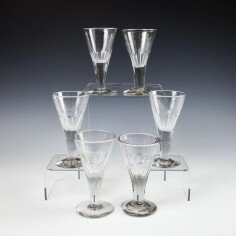 19th century gin glaases, antiques to be used and appreciated.